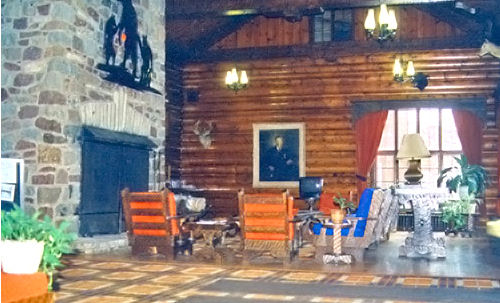 Experience one of Northern Wisconsin's most heralded treasures — the Gateway Lodge. Offering customized and newly renovated suites and studios, an indoor pool, a steaming hot tub and a redwood sauna, the historic lodge is both a peaceful sanctuary and a convenient gateway to the vast number of area recreational opportunities. From trap shooting and golfing to waterfall chasing, skiing and shopping, it's all within reach. Or, simply enjoy the Gateway's warm comfortable atmosphere, reminiscent of a time gone by. 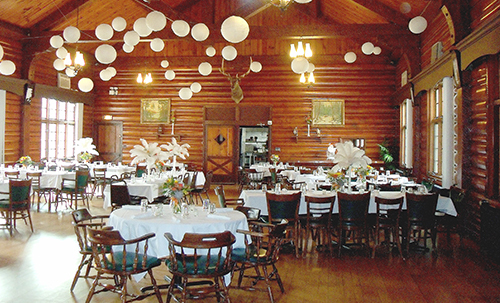 The lobby features plenty of Northwoods nostalgia, with its massive hand-built fireplace, hand-hewn log construction and impressive animal mounts. 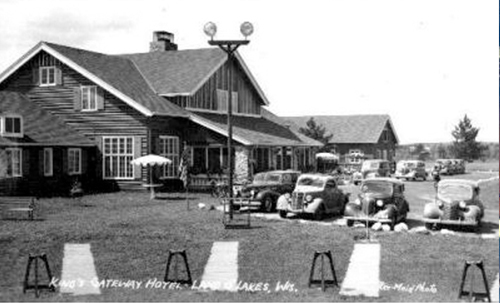 Constructed by Land O' Lakes craftsmen nearly a century ago on the boundary line that separates Wisconsin and Michigan, this landmark resort has hosted generations of vacationers from all over the world. Stay here and experience the history of the north woods. Wednesday-AYCE Shrimp Boil, Friday-Fish Fry, Saturday-Prime Rib, Thursday Seniors get 10% discount. Find us in Land O' Lakes! From Milwaukee, take U.S. Hwy. 41 to Hwy. 45, which leads to Land O' Lakes, Wisconsin and intersects Cty. Hwy. B. Just 8 miles north of the Gateway is U.S. Hwy. 2, which intersects with U.S. 45 at Watersmeet, Michigan. Adjoining the Gateway property is the Land O' Lakes Municipal Airport, which features a paved, lighted runway, hanger and aircraft-service facilities. Website Design by Grass Lake Images, Inc.